Our services are available in the Rockville and surrounding areas 7 days a week. Services range from a few hours a day to 24/7, live-in care. Georgetown Home Care provides services for adults (18+) in private homes, assisted living communities, hospitals, skilled nursing facilities, and rehabilitation centers. Our Rockville-serving office is located just south in Chevy Chase, just 30-minutes away. You can easily drive to our office by taking Rockville Pike (355). Stay on 355 when it changes to Wisconsin Avenue, near the Woodmont Triangle area. 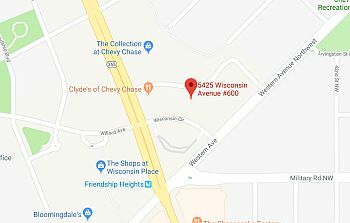 Drive around 2.5 miles south and you’ll turn left onto Wisconsin Circle, just after Clyde’s At Chevy Chase on the left.